This is a place where confidence is born and creativity soars. This is a place where dance is not just a physical art: but a tool to build self-expression and discipline. This is a place where generations of families share past memories and continue making new ones. There are two dance studios—the Big Studio and Little Studio—both have hard wood sprung floors, mirrors, ballet bars and a sound system. Billy Clower also offers two lounges and patios with free WiFi. The first lounge is for parents and young students waiting for their classes. The back lounge is for middle school and older age kids to do their homework, wait for parent pick up, or wait for their next class. New to the area? Interested in becoming a student at our studio? We would love to meet you and give you a tour of our studio. email us at billyclower@gmail.com. We rent our studios to students for rehearsals and we also rent to outside instructors or programs. 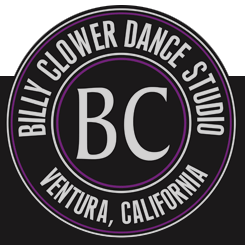 If you are interested in learning more about renting the studios, please email billyclower@gmail.com for rates and days available.